A Battery Powered Interior LED Lightfor Trucks, Cars, RVs, Semi-Trucks & Off-Grid Homes. It has 6 ultra-bright LED’s and uses 4 AAA batteries (not included). This LED Interior Light is a great addition to just about any vehicle for nearly any interior location where more light is desired and power from the vehicle is not available. This LED light is super bright and has a life expectancy of nearly 10,000 hours of use. 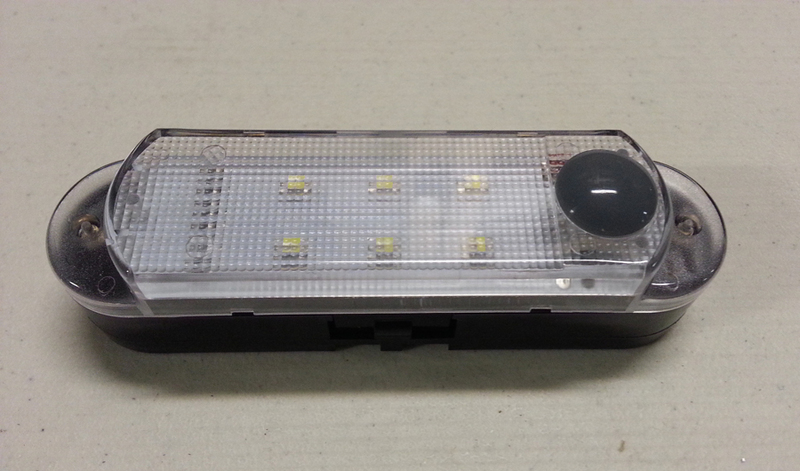 This LED light also makes a great replacement for standard incandescent interior lights. Easy to install, easy to use. Being battery powered, this LED light is great just about anywhere you need extra light in your vehicle or off-grid home. This LED light is completely sealed and uses a push button on/off switch.